Jack Daniel’s is a sour mash Tennessee Whiskey brand. The brand is famous for its square bottles and black label and it is one of the best selling whiskey brands in the world. 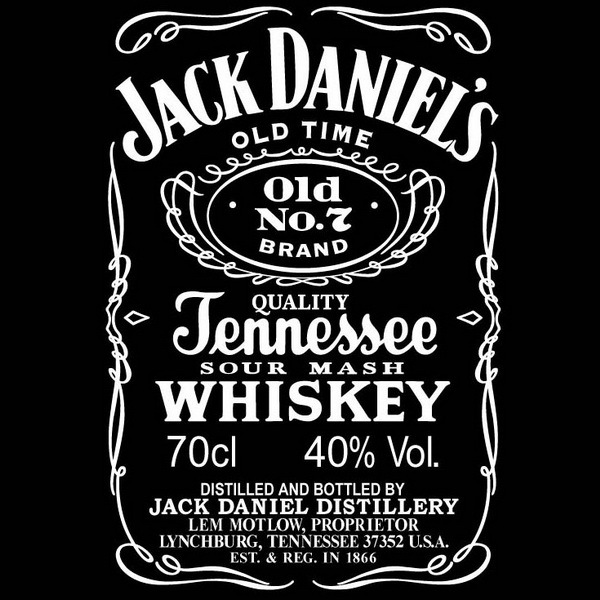 On the Jack Daniel’s Label, various fonts are used for different parts. Its wordmark Jack Daniel’s was designed using a serif font, which is very similar to Black No. 7 designed by Stefan Huebsch. The font used for the cursive “Tennessee” is very similar to Jackie_regular Alternative by Dario Muhafara. Both fonts are commercial fonts and you can purchase and download them here and here.